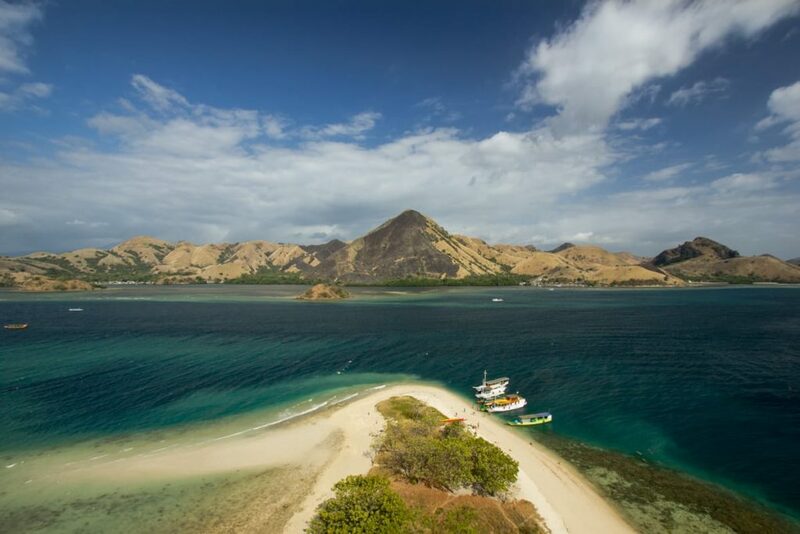 Komodo is one the most famous Indonesian national park established in 1980. 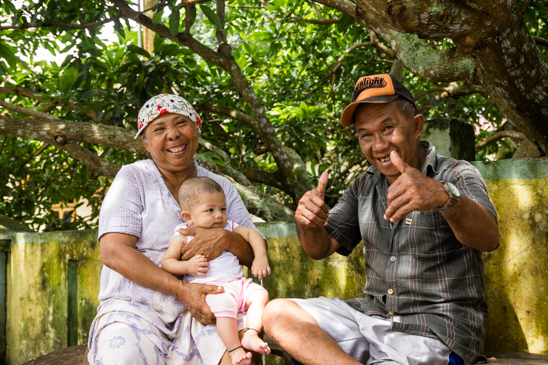 It’s by far the main attraction of Flores island. 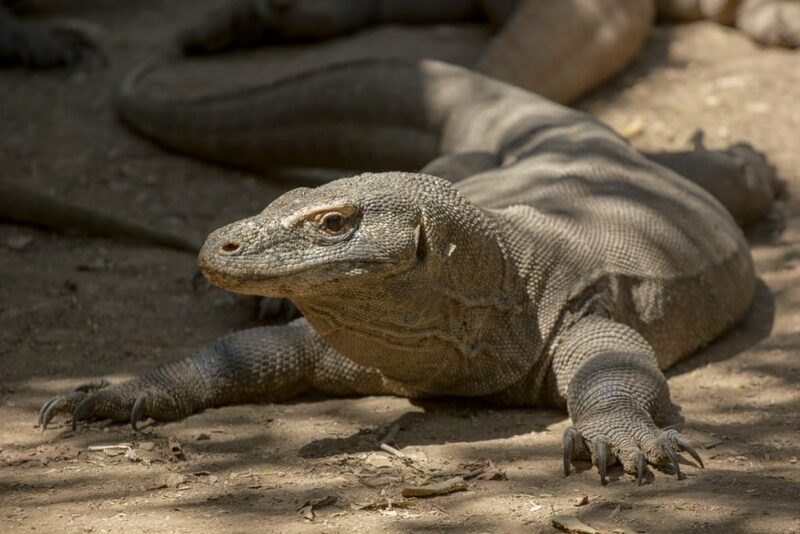 The name is derived from the infamous endemic specie of varan (or Varanus komodoensis) populating Komodo and Rinca island. They are the last remnants of a now extinct animal family of giant lizards that used to roam Indonesia and Australia. The national park waters are also a world-class heaven for marine life. Due to heavy promotion by the government and additional local flights, the number of visitors has boomed and prices keep on growing from one year to another. 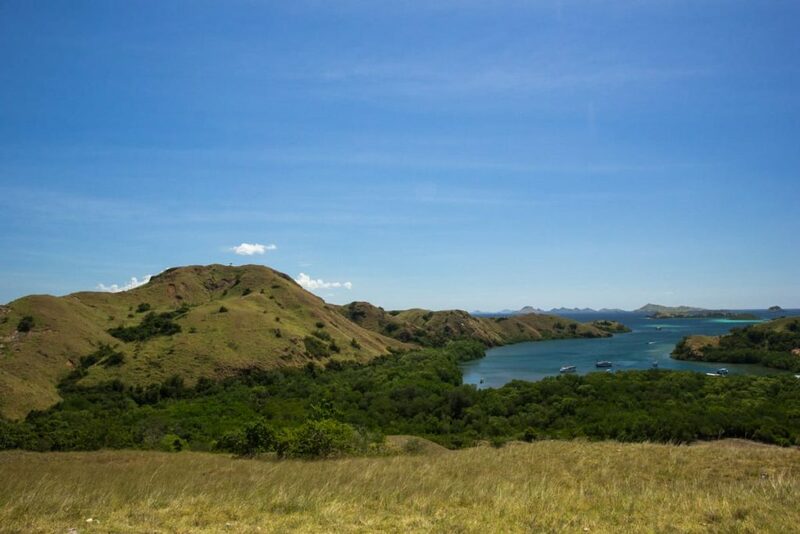 Update Dec 18 : the governor of Nusa Tenggara Timur has declared that he intends to make Komodo National Park an exclusive destination, with daily park fees of 500$ for foreigners and 100$ for locals (source). I highly doubt such prices would ever be implemented but it suggests that the government is considering other options than mass tourism for the future. I marked the location of all places listed below in the map above. For me it’s simply one the best landscape Indonesia has to offer. Definitely a must-see. Getting people-free picture like below requires some patience. 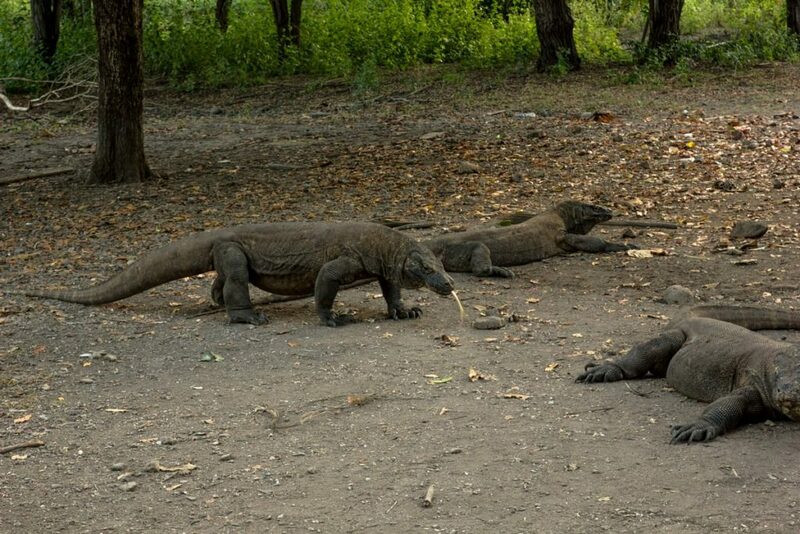 Komodo dragons are huge, fierce and endemic to Komodo and Rinca islands (as well as Gili Dasami, Gili Motang and both Wae Wuul and Wolo Tado reserves on Flores islands to be accurate). As long as we don’t get any real-life Dr Hammond, there are the closest thing to a dinosaur you might encounter on Earth. For non-scientist eyes, they are roughly a very large monitored lizard. Some monitored lizard species of Australia for instance, are almost as large as Komodo dragons for instance. 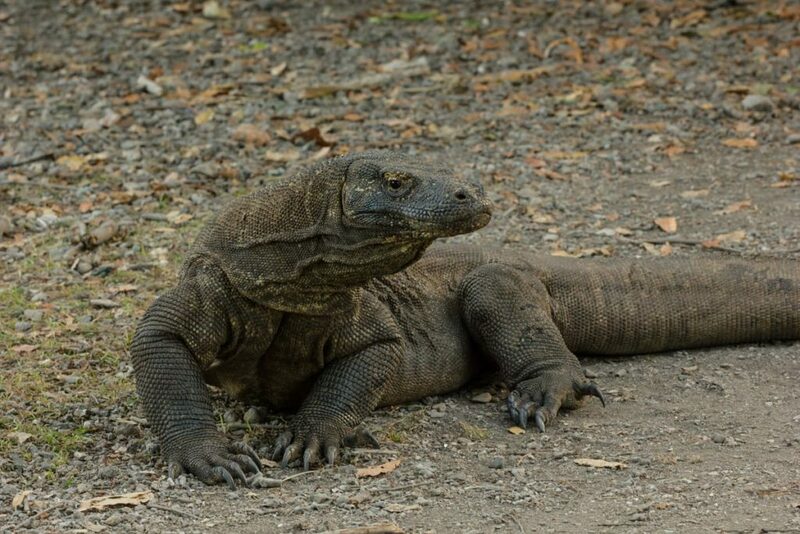 That being said, Flores’ Komodo dragons are very unique from a biological point of view, their most stunning ability being the capacity of female to breed without a male ! (source). 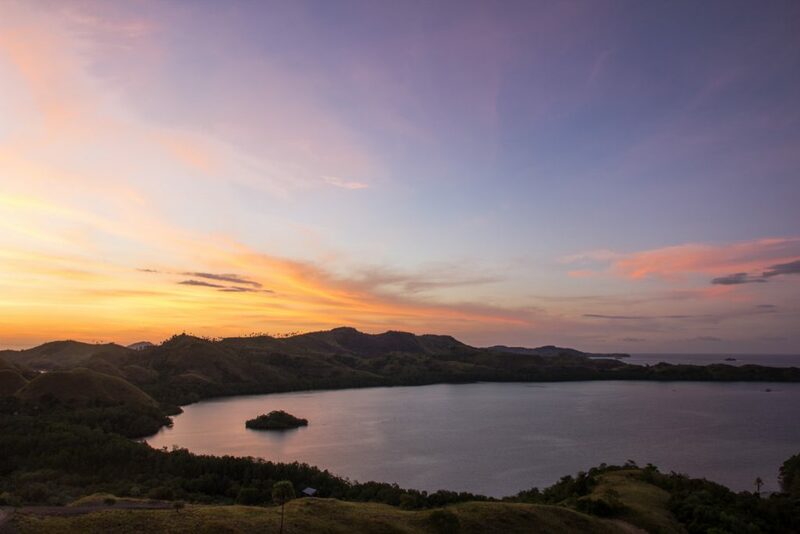 Whatever the island you pick (Komodo or Rinca), you will have to pay an entrance fee as well as mandatory rangers. In April 2017, for a group of 12 people price was 243.000Rp per person for foreigners and 68.000Rp for local. This price encompasses the individual entrance fee and the ranger fee that has been divided between the 12 people. Foreigners holding a KITAS are not entitled to local prices. The entrance fee is valid for both Rinca and Komodo islands. That means that if you go to Rinca first and then to Komodo you will pay only the rangers on Komodo islands (for 12 people, 20.000Rp each). Don’t loose the tickets they will give you on Rinca. 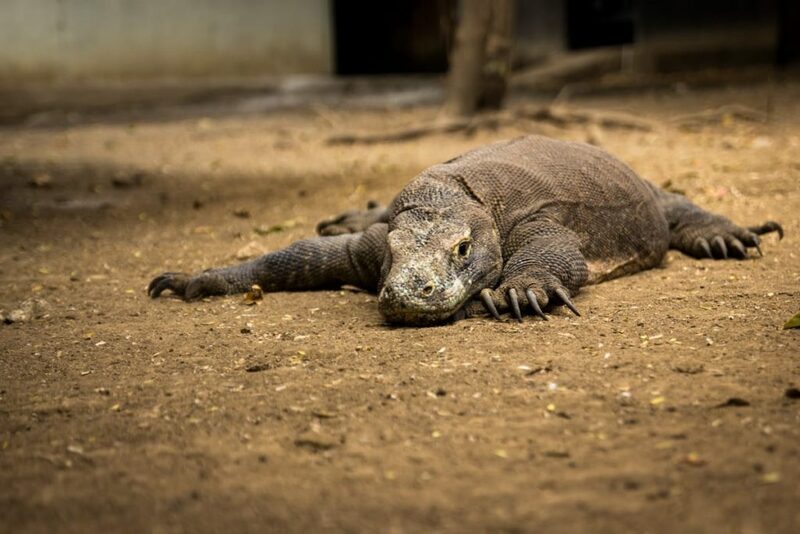 If you have been to Komodo a few years ago, please note that the entrance fee is now valid only for one day and not 3 like it used to be. So if you go on a 2 days trip you have to go to Rinca and Komodo on the same day otherwise you will pay twice the entrance fee. Virtually all public tours sold in Labuan Bajo are organized so that everyone can take his picture with a Komodo dragon on the foreground, not much more. If your goal is to do longer observations as well as more than 1 hour hiking ; then it’s best to charter your own boat. 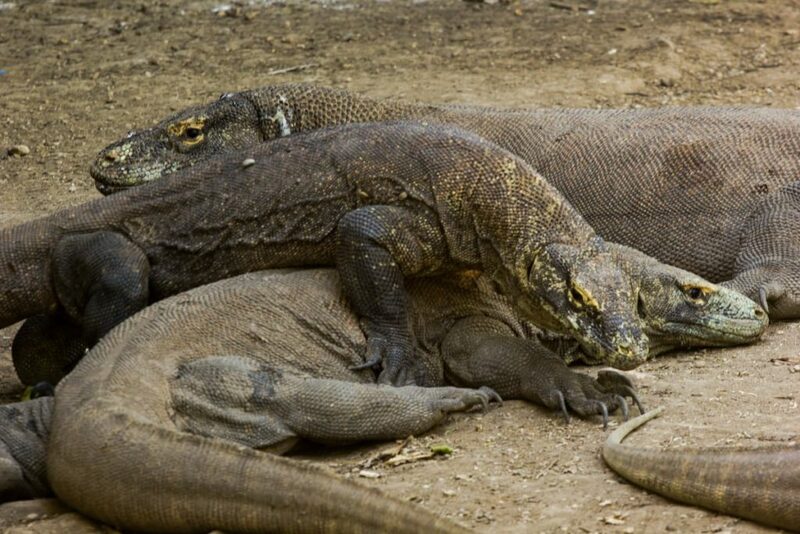 Komodo dragons are wild cold-blood animals. They hide when the sun is too high. The best moment to spot them is very early in the morning, so it’s good to sleep on a moored up boat. 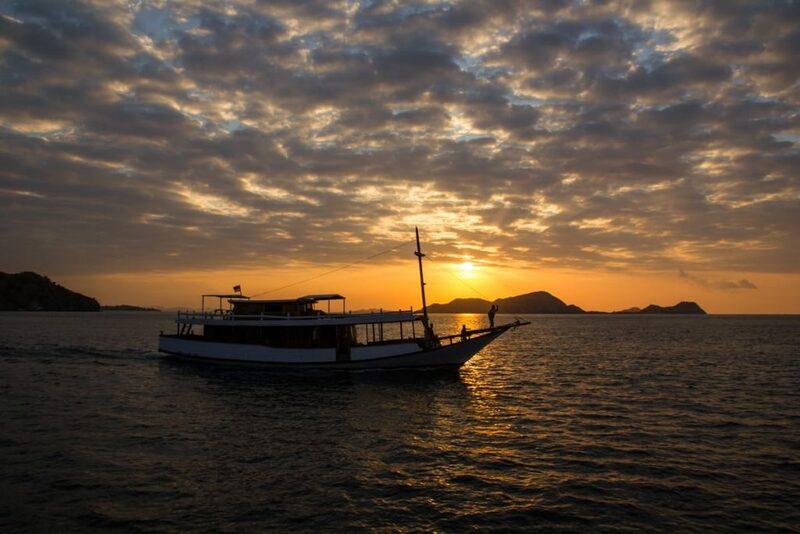 Public boat tour from Labuan Bajo definetly never make it to Komodo or Rinca at dawn. You are 100% sure to spot dragons near the kitchen used by the rangers (they eat the leftovers) and unless you plan accordingly, it’s likely that they will be the only dragons you’ll see. If you go on a 2 days trip you should insist to go to Komodo on the morning of the second day. Usually 2 days-trips include a stop both in Komodo and in Rinca, most of the time on the first day. Given that the entrance fee is now valid only for one day, they will take you to the 2 islands on the same day unless you ask otherwise. You should insist to go to Komodo on the morning of the second day. 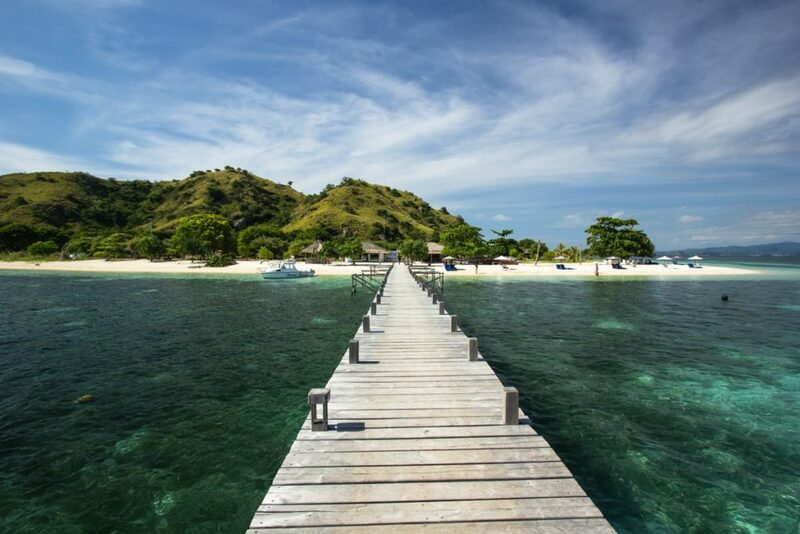 If you have to do only one islands because you lack time, go to Komodo. 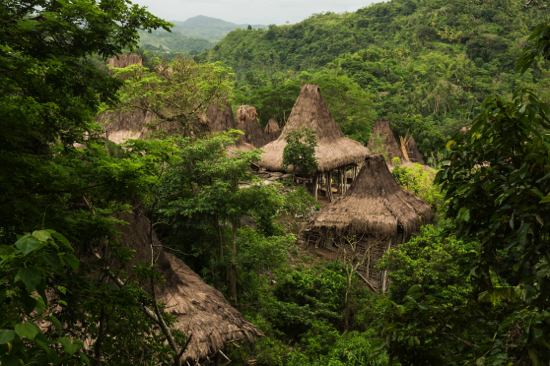 There is less visitors and more wildlife (deers, monkeys, hogs …). I don’t have any underwater camera so I have nothing to show but don’t miss this one. I have seen manta rays on numerous dives and snorkelling sessions but it’s always a great moment. Be responsible and don’t chase manta, let them come at you gently. Nearby, boats usually stop a a sand bank called Taka Makassar. It’s a really nice beach with great snorkelling. It’s about 1,5m-3m deep. You have incredible piece of corals for this depth and can spot a great diversity of fish. 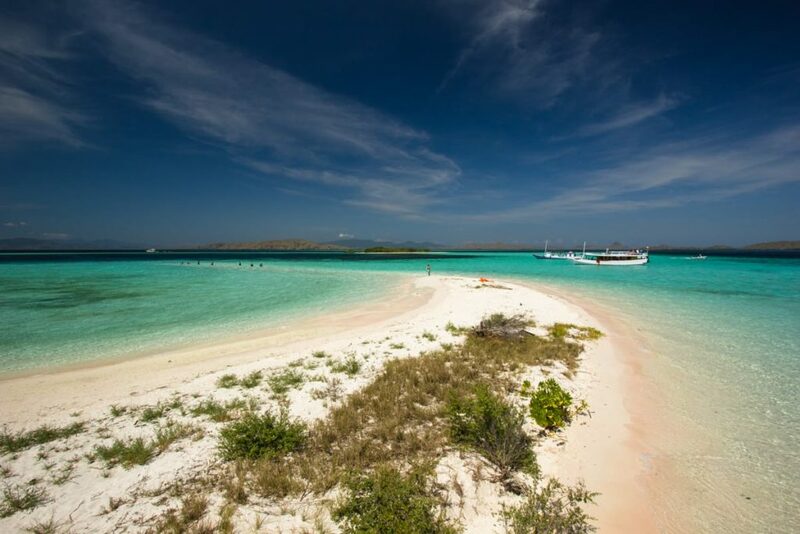 The sand on the shore is mixed with red pieces of corals that give a light pink color to the first meter of sand. Don’t expect something oversaturated though and remember the phenomenon is more or less obvious depending on the weather and the time. The islands of Bidadari (Angel island), Tatawa, Seraya and Sebayur all have shallow reefs as well as resorts where it’s possible to stay. 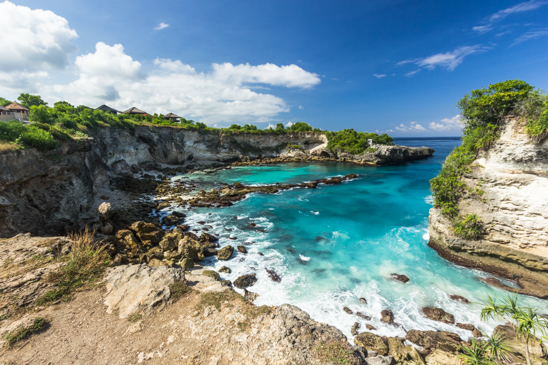 Snorkelers could also enjoy the upper part of the reef in Batu Bolong. Kanawa island is another island with a resort on it, but you have to pay a fee (10’000Rp/person uppon docking). I found the snorkeling not great (few corral), and the prices of the restaurant inflated. I wouldn’t be surprised that boat captain get some kind of retribution for bringing guests there ; better stop in Pulau Bidadari or elsewhere in my opinion. 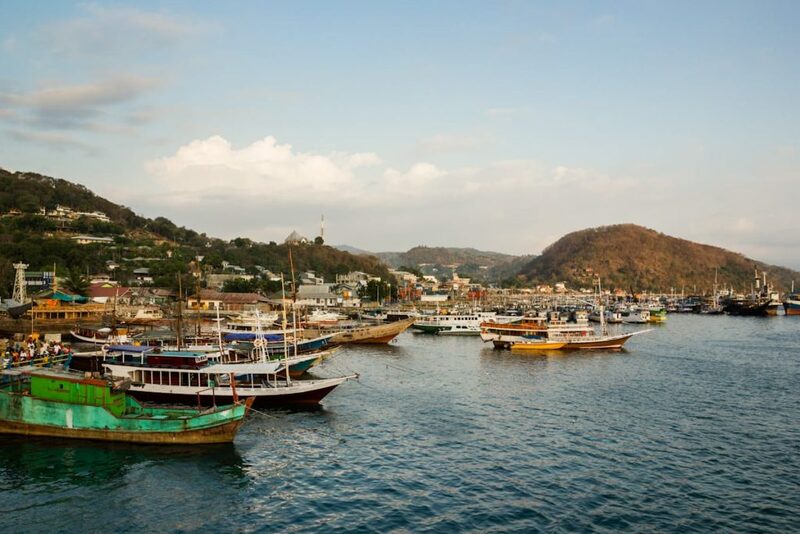 How to pick a boat tour in Labuan Bajo ? 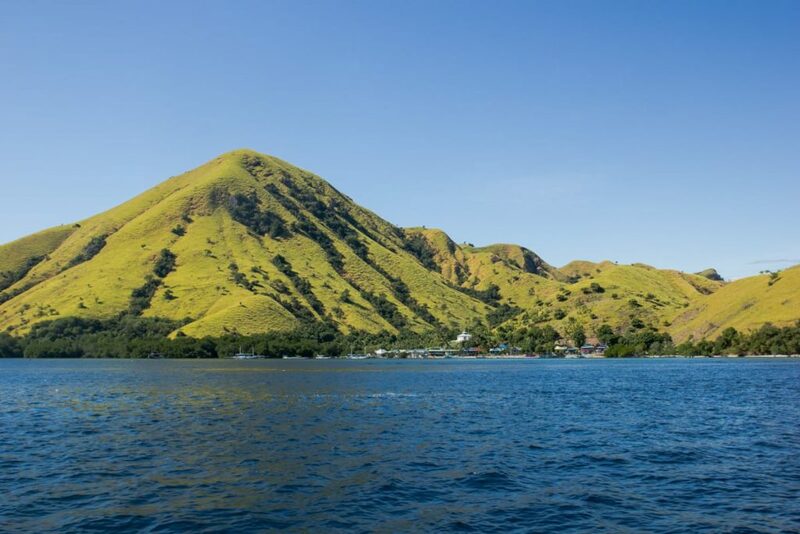 It depends on the itinerary (Komodo, Padar and Makassar Reef are much farther than Rinca, Bidadari and Kelor for instance) and the speed of the boat. A speedboat could cover 5-6 places in a day while a slower boat will visit only 3 or 4 places maybe. 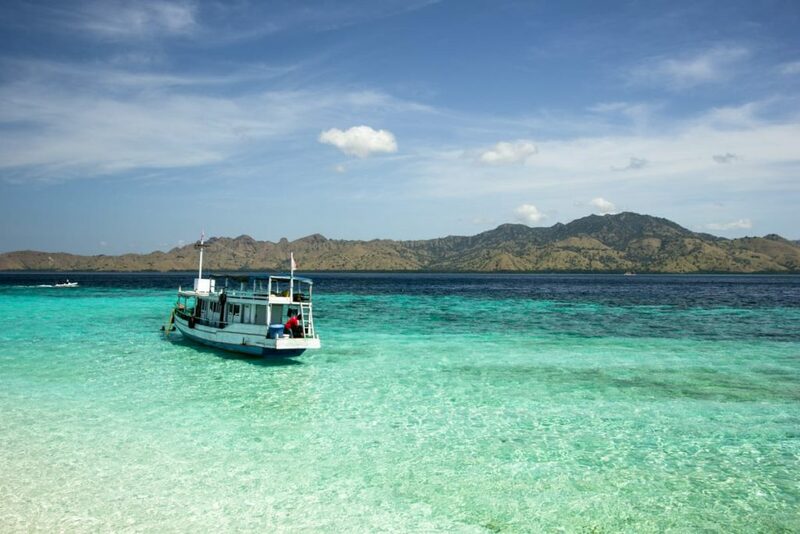 A good speedboat can make the round trip to a remote place like Gili Lawa in half a day. Last time I visited Labuan Bajo, prices were around 400’000Rp per person for a day trip and between 700-850’000Rp for a 2 days trip. I think 2 days trip are well worth it. Which agency to pick ? Agencies in Labuan Bajo main street don’t own their boat and act as a 3rd-party resellers for various captains. I think they are all more or less equivalent (they work together anyway, just ask the other people on your boat, they probably book their trip at a different place than you). Signs “more people needed for tomorrow trip” are pure marketing. There are also many boat chartering services that you shouldn’t have much trouble to find online. If you have some time to spare, I guess it’s possible to bargain a spot on a boat directly with captains in the harbor. I booked my last trip with the agency right next the the stairs leading to Hotel Gardena and was quite satisfied. Which program to choose ? 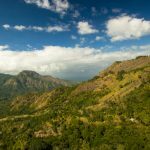 Is the cruise from Lombok to Komodo worth it ? If you are in Bali or Lombok, you will see a lot of touts advertising for cruise to Komodo. Let’s have a look on a flyer of a company : it’s a 4D4N from Labuan Lombok (eastern harbour) to Labuan Bajo. The price is 2,000,000Rp per person (deck class, no cabin). Another company. 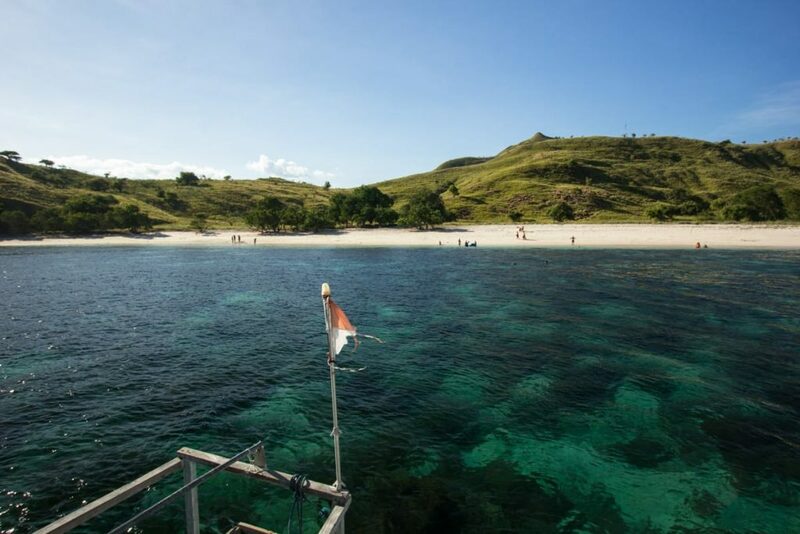 It’s a 4D3N trip from Labuan Bajo to Lombok, for 1,700,000Rp per person. As we can see, both boats spend 2 days in the national park doing something you can do from Labuan Bajo (excepting maybe Gili Lawa which is a bit remote but quite similar to Pulau Padar). Now if you look on a map, you will realise that even from Gili Lawa, you still have to cover most of the distance. Hence I think you are likely to spend most of the time cruising on the next 2 days. 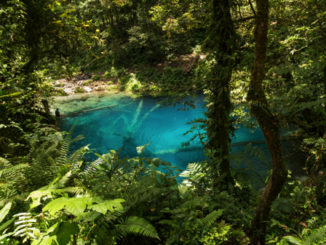 The tour guide usually take guests to a nice waterfall on Moyo Island. Satonda looks impressive on drone picture but I’m not sure it’s that amazing from the ground (and if I’m not mistaken 150’000Rp per person is now charged for entrance). 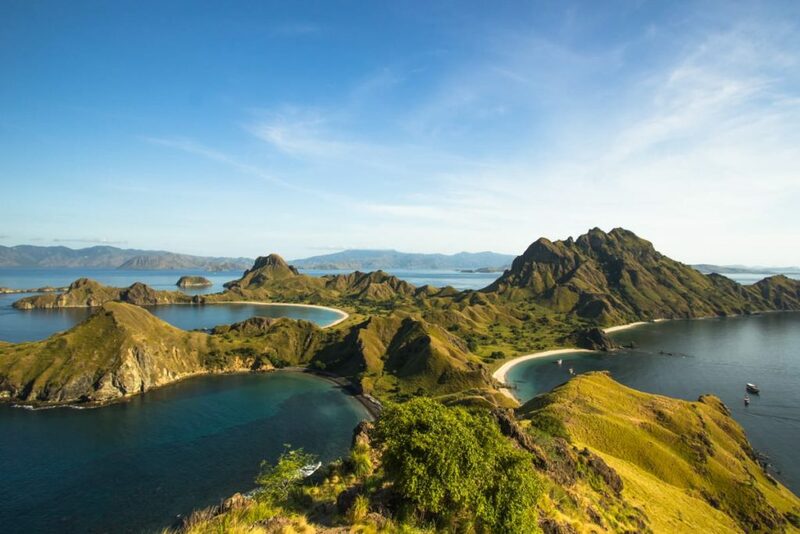 Given that a plane ticket between Denpasar and Labuan Bajo costs about 850,000Rp, I think it’s more convenient and cheaper to fly directly to Labuan Bajo and then do a 2 days trip from there. 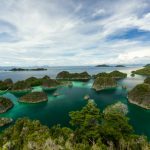 The new flight (December 2018) from Lombok to Labuan Bajo is also something to consider. 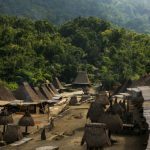 If you are really on a budget and have some time, you’d better go from Lombok to Labuan Bajo by bus (details in this article), spending some time in Sumbawa and then do a trip from Labuan Bajo. Virtually everyone skips Sumbawa (if you are into virgin and empty beaches you may like it very much). Rent a motorbike or walk to the spot called “Bukit Cinta” (you can find it on Google Maps). It’s about 10 minutes from Labuan Bajo by motorbike. 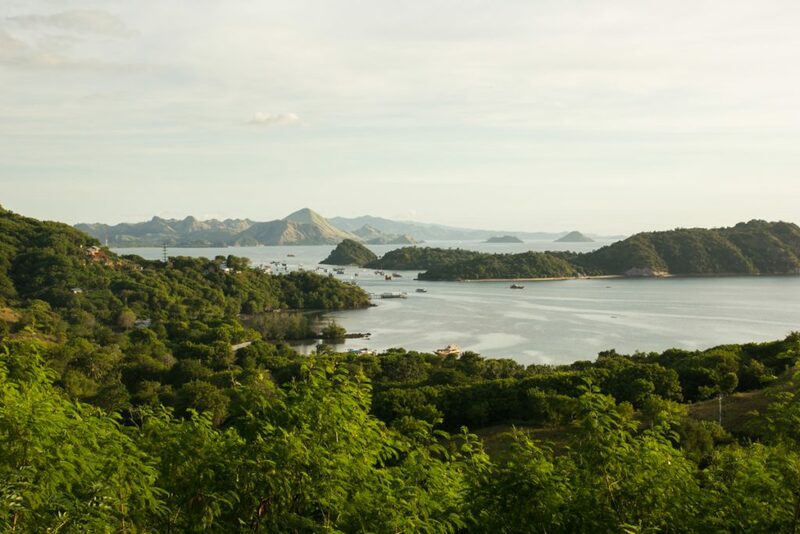 If you want to escape Labuan Bajo, there are many resorts build by the ocean north of town. 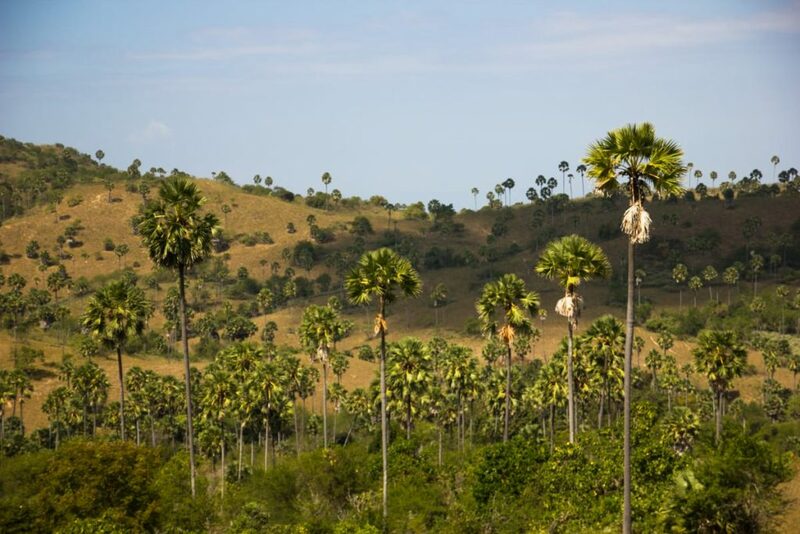 The website of Flores Tourism Board gives a couple of other idea for those who want to spend time overland. Actual local food (with local price) can be found everywhere but near the central portion of the main road (where you have most of the hotels, dive centers and agency selling boat trips). The night market after the harbour and the fish market is always a great pick for fresh seafood. 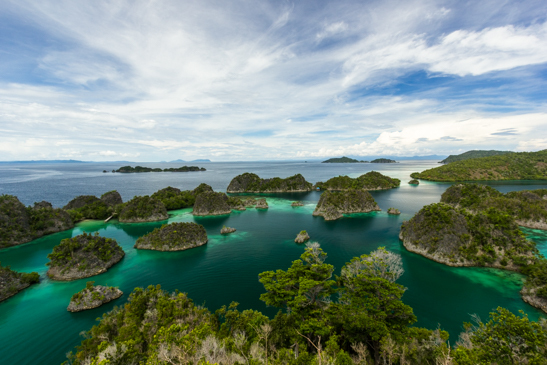 A travel guide to North Raja Ampat area. Including tips for divers on a budget. 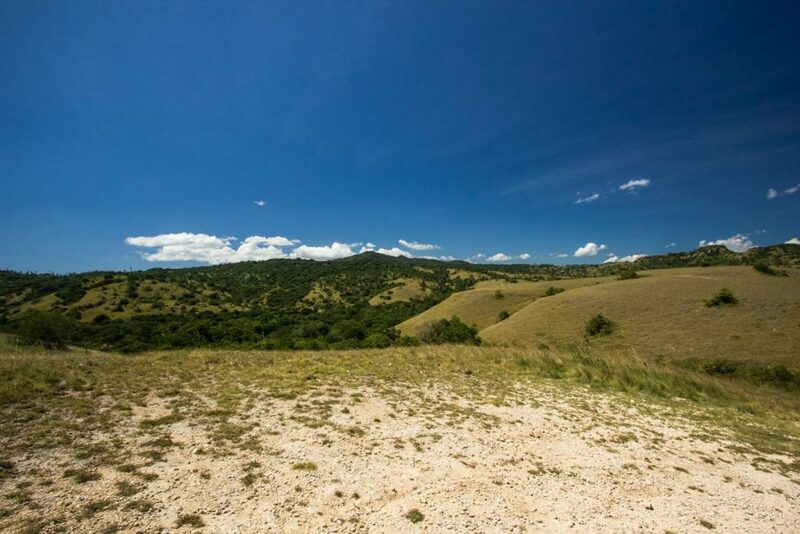 The land of the Ngada.